Living with any type of diabetes is challenging every single day. For some, the challenges or complications of having diabetes can become a tremendous obstacle to working and earning a consistent and livable income. As a result, some people with diabetes may be faced with the decision of applying for disability benefits. 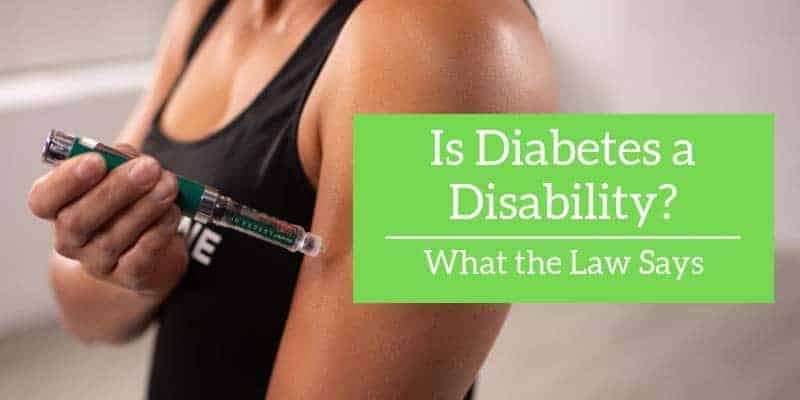 In this article, we’ll look at why and how diabetes might qualify for disability benefits, what those benefits are, what the application process is like, and what to do if you’re denied after applying. This article is based on United States laws and regulations. Please contact your local diabetes association for information if you live outside the US. How does a person with diabetes qualify for disability benefits? Step 1: Contact your local SSA office. Step 2: Inform your healthcare team. Step 4: Filing an appeal if you are denied. Step 5: Filing your 2nd appeal. In short, yes. 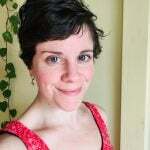 While having a diagnosis of diabetes may help you receive adequate support in your place of work — or for some, in receiving a handicap parking pass — simply having a condition that qualifies as a disability doesn’t mean you necessarily qualify to receive disability benefits in the form of financial assistance. That being said, for those with diabetes who have experienced significant complications related to diabetes, qualifying for disability benefits may be possible. Just keep in mind that it is a process, there’s a lot of paperwork, and it doesn’t happen overnight. Before proceeding with the application process, be sure you know exactly what type of disability benefits you need and are applying for. This is for people who have worked for five of the last 10 years and meet the Social Security Administration’s definition of disability (see next section for details on diabetes qualifying factors for people with diabetes). “SSDI offers assistance to help you return to work and provides ongoing income if you do not get better. When you receive SSDI you can also qualify for Medicare and prescription drug assistance,” explains the ADA. This is available to people who have limited income and resources, and are considered disabled by the Social Security Administration. Now, let’s take a closer look at how and when a person with diabetes might qualify for SSDI or SSI. “Diabetes is listed in the Social Security Administration’s (SSA) impairment listing manual, or “Blue Book,” as a condition which can qualify a person for Social Security Disability benefits,” explains Disability Benefits Help. It’s important to know that a diagnosis of type 1 or type 2 diabetes on its own will not qualify you for disability. Instead, there must be an additional diagnosis of a diabetes-related complication or condition often associated with diabetes. Many of the complications that can result from years of living with diabetes — like retinopathy, nephropathy, amputation — can significantly impact your ability to function and work on a daily basis. Neuropathy is the damage sustained to the nerve-endings in your hands, arms, feet, and toes. Neuropathy results in a loss of feeling and sometimes loss of function in those extremities. Severe neuropathy can result in the need for an amputation. To use neuropathy as a qualifying factor for disability status, it must significantly affect two extremities to the extent that your ability to walk or stand is impacted. Acidosis is when there is an abnormal increase in the amount of acid in your bodily fluid (most commonly your urine, from high blood sugar levels). To use this acidosis as a qualifying factor for disability status, it must occur once every two months and be documented via blood tests. Retinopathy is damage to the blood vessels and nerves in your eyes. Severe neuropathy can lead to significant loss of vision or complete blindness in one or both eyes. To use retinopathy as a qualifying factor for disability status, you must have a significant loss of “visual acuity” in both eyes. This severity of damage considers the patient to be blind. Other conditions like gastroparesis, nephropathy, etc. may be considered. “Children under 18 qualify for SSI based on disability if they have little income and resources; are not working; have a physical or mental condition that very seriously limits activities; and the condition will last at least a year, or cause death,” explains the ADA. Additionally, if you live with a spouse who is not eligible for SSI benefits, the SSA may include your spouse’s income when determining your SSI benefit. Disability Benefits Help also emphasizes that while receiving disability for diabetes can be more difficult compared to other conditions, it’s still possible. The following is a step-by-step process for the standard application for disability benefits. You’ll start by contacting your local Social Security Administration office. This office is also sometimes referred to as “Disability Determination Services” or “DDS.” While applications can be accepted in-person, over the phone, by mail, or by filing online. Inform your healthcare team that you are in the process of applying for disability. They will be a critical part of your application. The DDS will base their decision heavily on the patient data provided by your healthcare team. The DDS will collect medical evidence from your endocrinologist, primary care doctor, and any other specialists you see regarding diabetes complications (like your eye doctor). If you meet the standard qualifications for disability, there is further paperwork, and you will successfully begin receiving benefits, but keep in mind that simply waiting to hear whether you’ve been approved or denied can take 3 to 5 months. The process of filing your first appeal will likely take another 3 to 5 months. Also referred to as “reconsideration,” this requires simply submitting the paperwork again. If you haven’t already done so for your first application, working with a Disability Support attorney can be very helpful. An attorney can help ensure that the documentation on your health is thoroughly and constructed properly to illustrate a clear need for financial assistance. If your first appeal is rejected, you can appeal a second time (making a total of three applications). This time, your case will be reviewed by an administrative law judge in the “Social Security’s Office of Disability Adjudication and Review,” explains the ADA. The length of this application and response can take up to an entire year. While the process does not require an attorney, you’ll likely appreciate the support of one for this final attempt at acquiring disability benefits. The process of acquiring disability benefits is not a short and simple one. 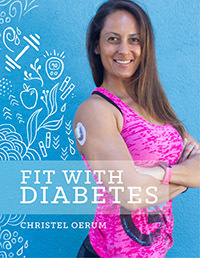 If you feel strongly that you qualify and need financial support due to living with diabetes and related complications, approach this process with courage and determination. 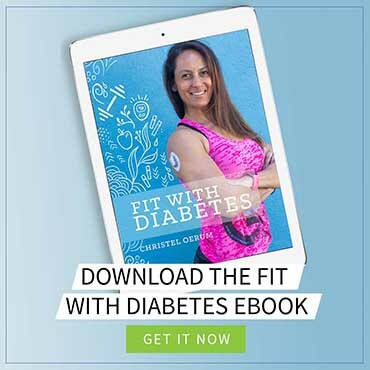 If you found this guide to diabetes and disability benefits useful, please sign up for our newsletter (and get a sign-up bonus) in the form below. We send out a weekly newsletter with the latest posts and recipes from Diabetes Strong.